With Canadian real estate investing experts, there is a big difference between knowledge and implementation. There are so many different sources of real estate investing information and so many Canadian real estate investing experts that you can get lost in information overload. A quick search on Google will turn up Books, Audio Programs, Seminars, Weekend Boot camps, Teleseminars all promising to be the best single source of information. I've invested thousands (ok, tens of thousands - but don't tell anyone) into this type of stuff before I finally learned an important lesson. 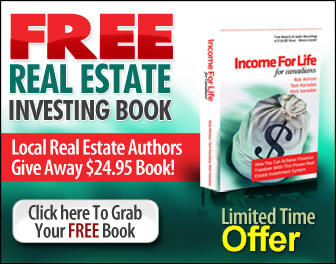 The Canadian real estate investing experts that were dishing real estate investing ideas all had, at least, one little gem in their program, book or package. But something important was missing. There was no detail on how to implement a specific strategy in my own backyard. You are left on your own to figure that out. Perhaps that's why you know so few people actually real estate investing full time. I tried to taking "massive action". I called my local realtors, mortgage brokers, bankers, the municipal power of sale departments and got lost, rejected or shut down. It took years to realize that although these experts were teaching me sound investing principles it was of absolutely no use to me out in the real world. I needed someone that could show me the ropes. I need a mentor, a guide, a coach. Just like a professional athlete. I needed someone to guide me, push me. Someone who had done it before me. So I went off and built my team. A lawyer who understands creative real estate investing, a mortgage broker who knows how to maximize my investing power, an accountant who can structure my investments, a broker who is flexible with my requests. This was my very own swat team of Canadian real estate investing experts. It took some serious time and effort but benefits are huge. And now that I have been doing this for some time people ask me my opinion on a certain real estate investing program or package. The answers are never the same, everyone has a unique situation. 1. The "Eye Opener". I have the utmost respect for this category of expert. 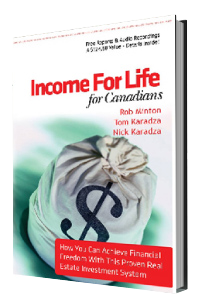 Robert Kiyosaki falls into this group and even though he is American all Canadians can benefit from his information. His Rich Dad, Poor Dad book offers very few specifics but does an excellent job of explaining how real estate can change your life. Kiyosaki takes a lot of unnecessary criticism because he doesn't lay out detailed plans of action. But what his critics fail to realize is that his information opens your eyes to possibilities that you weren't aware of. That alone is the purpose of his work and it's done brilliantly. Another "Eye Opener" would be someone like an aunt or uncle who has been investing for years. As a kid, you had no idea how they were able to get you the coolest birthday presents until one day you learn that they are active investors who use real estate to create wealth. And you have a big "ah hah" moment in your life. 2. The next category is the "Traditional Expert" who sells boot camps, books, and seminars. 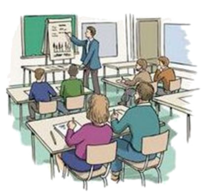 Now let me start by saying that anytime I have invested in a real estate training workshop held by the Canadian real estate investing expert of the day I always learn at least one thing, or meet one person that makes the entire event pay for itself. I'm a huge believer in constant and never ending education. What I didn't realize initially is that sometimes these experts need to generalize their information to appeal to large audiences so the information they give often needs tweaking to work in your specific market. For example, when I learned about lease optioning (lease optioning is the topic of another article) I was told that it couldn't work in my city because prices were too high. Then another expert would tell me that lease options are completely underutilized in any market, no matter the price. So the information I would get from these Canadian real estate investing experts was good, but the implementation of the idea was left up to me. I could ask them a few questions, even get them to spend a few hours with me but I was on my own to actually make it work. They were excellent at delivering the information but really offered nothing more. Often they were not even active investors in my own market. When you are investing and especially when you are starting out it is critical that you have someone experienced next to you throughout the process. 3. This last category of Canadian real estate investing experts is my favorite, the active real estate investor and "Coach". This type of expert is in the streets with you. They are your friend, relative or mentor who is an active investor in your market. They understand the little nuances in your area that can make or break you. They are the ones who take the information and implement it. They turn the idea into action. They have the contacts, the know-how, the guts and the experience. They stand by you while you invest. You can call them and talk to them over long periods of time about your investments to brainstorm, problem solve, and offer advice. This is who you are looking for. The first group is great at getting you motivated and the second group of investors is good at teaching you. This last type of expert is offering real world education. And a good education based on real world activities is priceless. So when a new real estate investor explains that some "expert" gave them a great new idea I always ask enough questions to find our more about the source. Which category does that expert fall into: "Eye Opener", "Traditional Expert" or "Coach". If someone gives you a cool strategy ask them if they've done it before in your own backyard. If they haven't, then you know there could be some missing details. Some big details. If they have invested successfully and are willing to stand by you through the process, lock them up! You've found a rare bird. 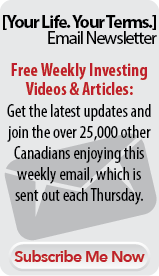 Return from Canadian real estate investing experts to the Canadian Real Estate Investing Guide by clicking here.